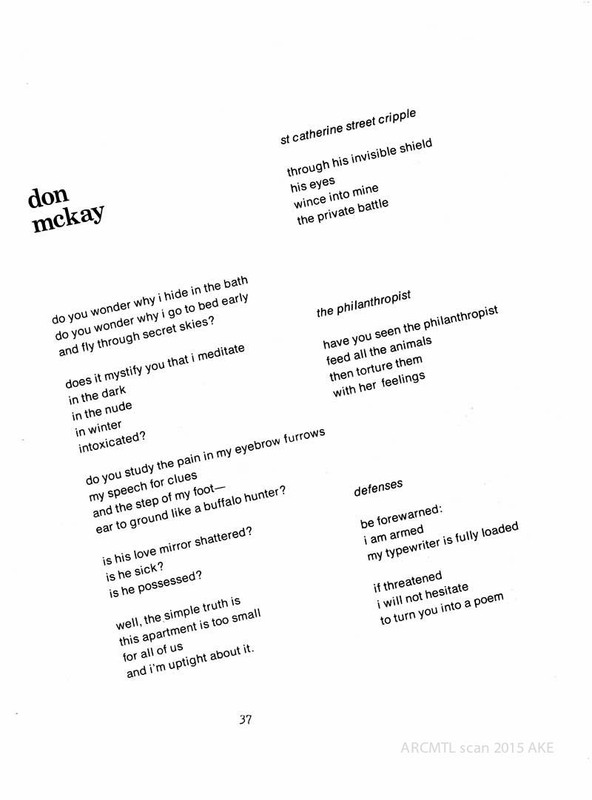 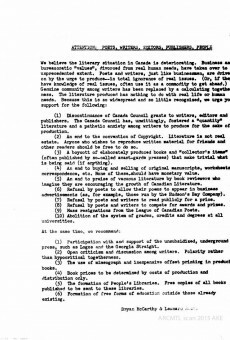 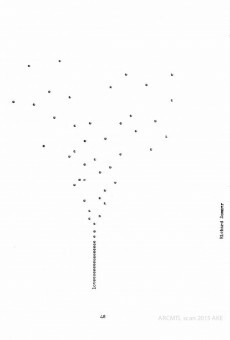 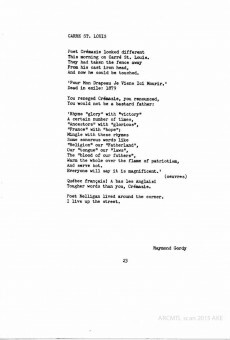 Among the earliest of the collective small press publications to come out of Montreal’s anglophone literary scene in the early 1970s was the Montreal Free Poet. 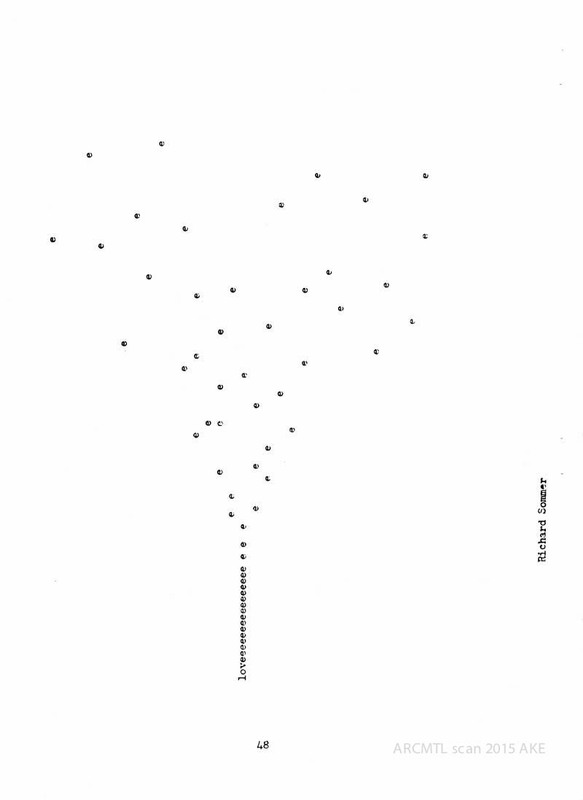 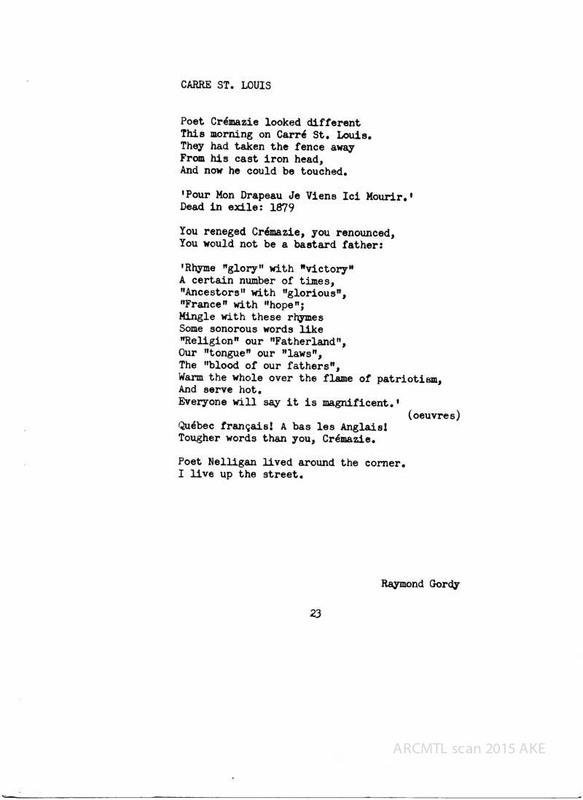 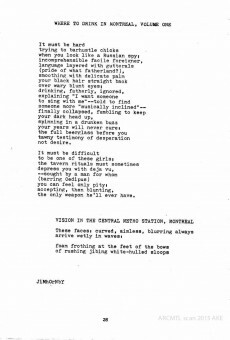 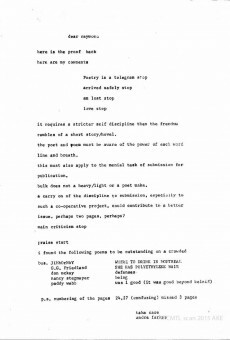 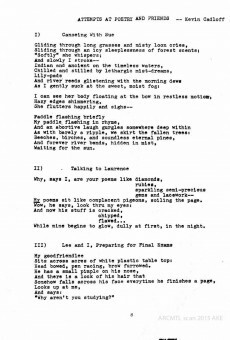 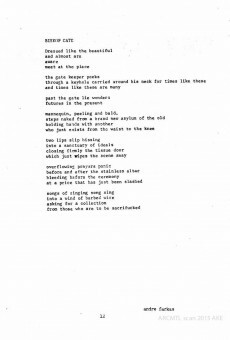 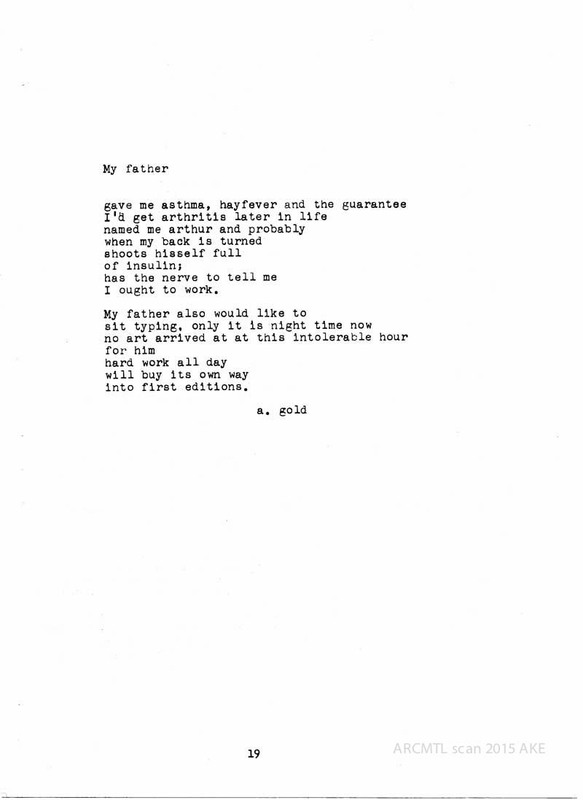 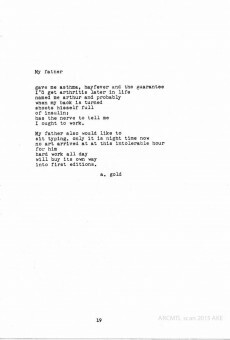 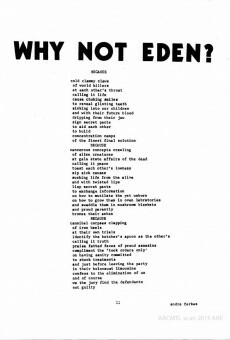 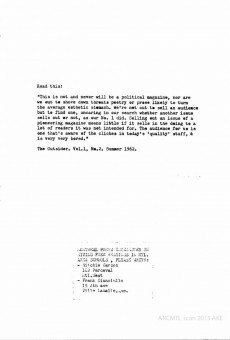 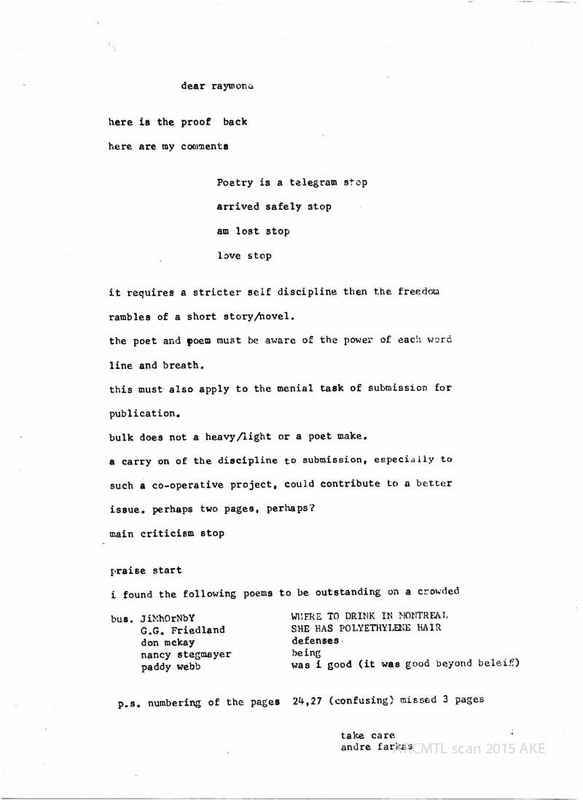 Put out by a team of local writers and poets including Raymond Gordy, Glen Siebrasse (1934 – 2009), Richard Sommer (1934-2012) and Artie Gold (1947-2007), the publication featured poetry as well as someone playful literary criticism. 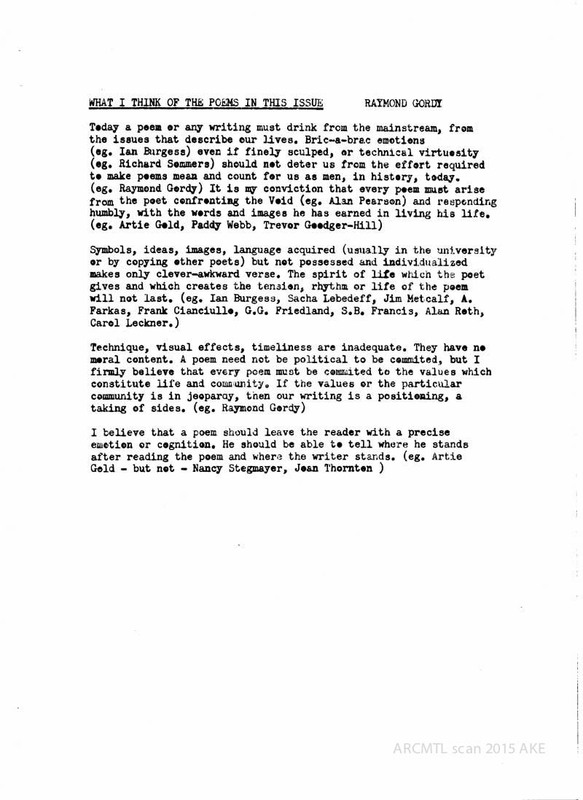 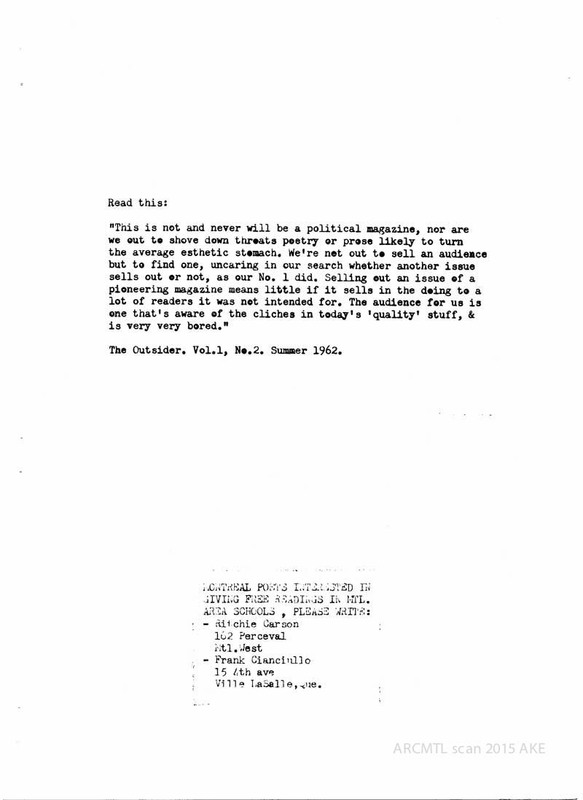 This publication and several of the contributing writers were mentioned during a round-table discussion held in November 2014, for which the transcript is available here. 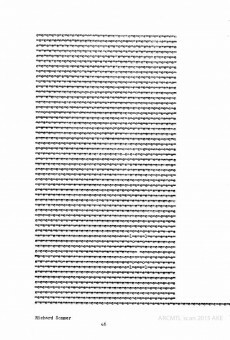 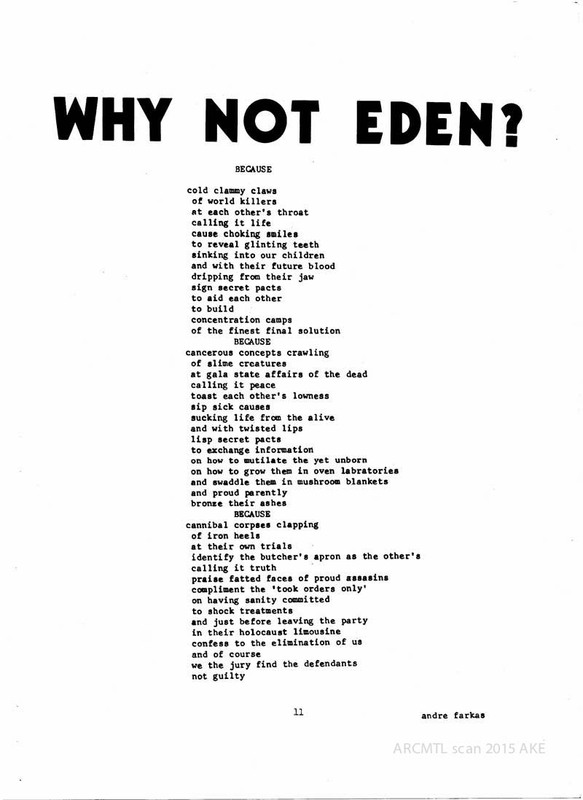 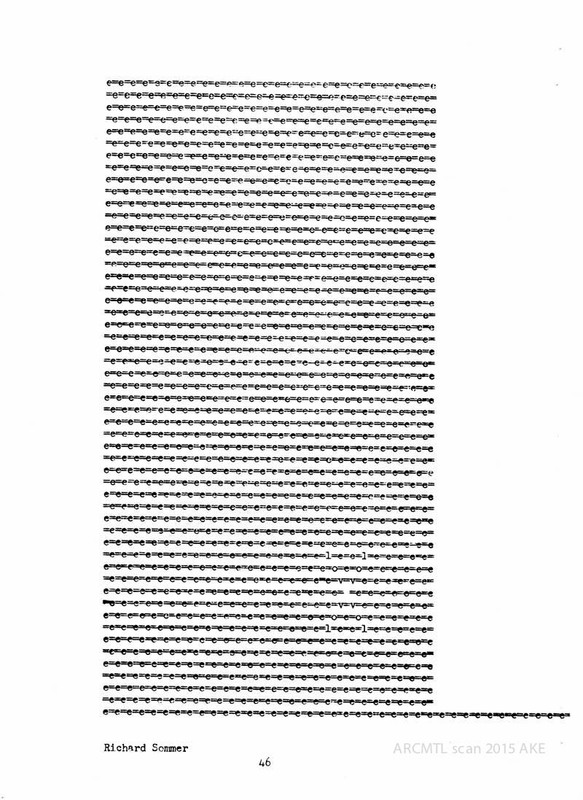 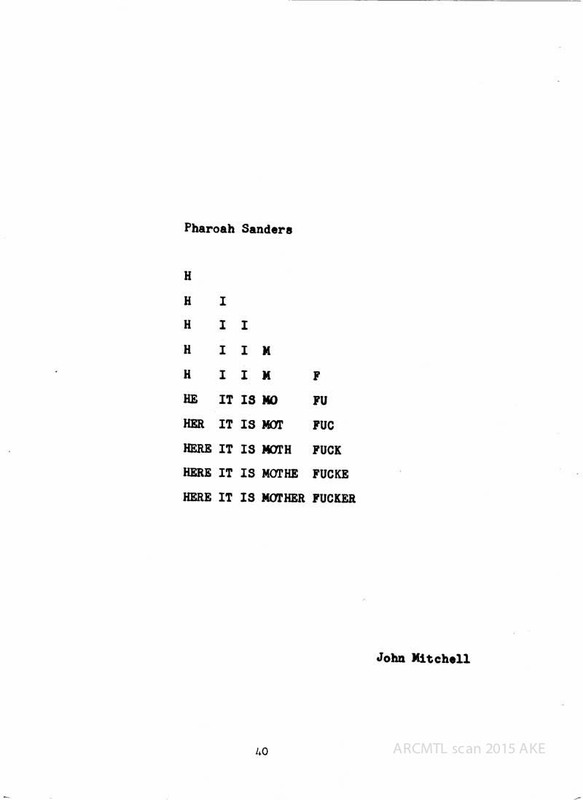 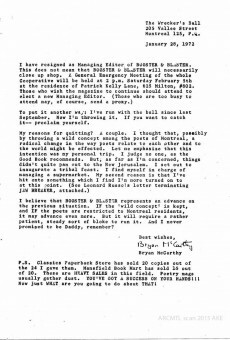 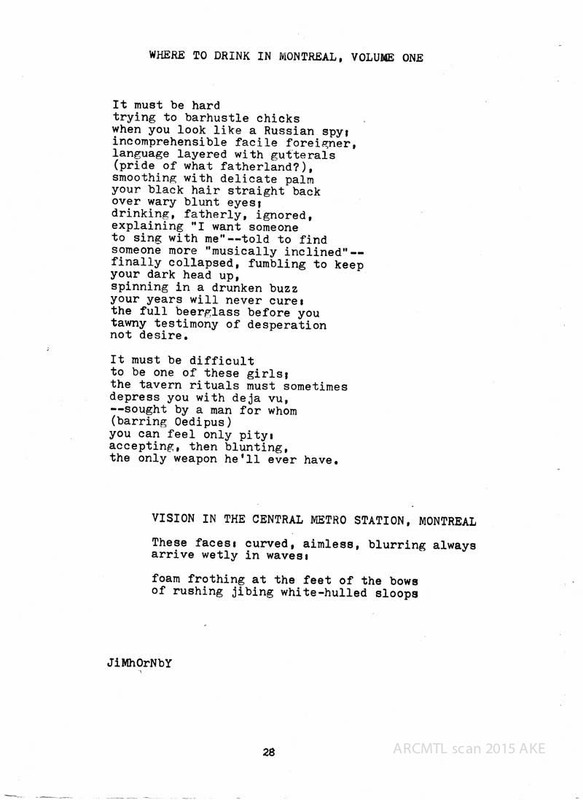 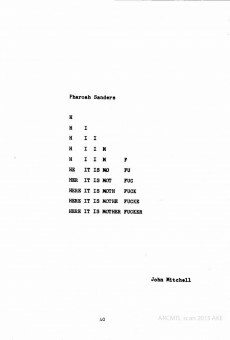 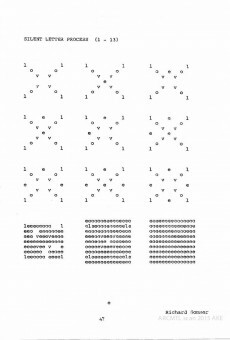 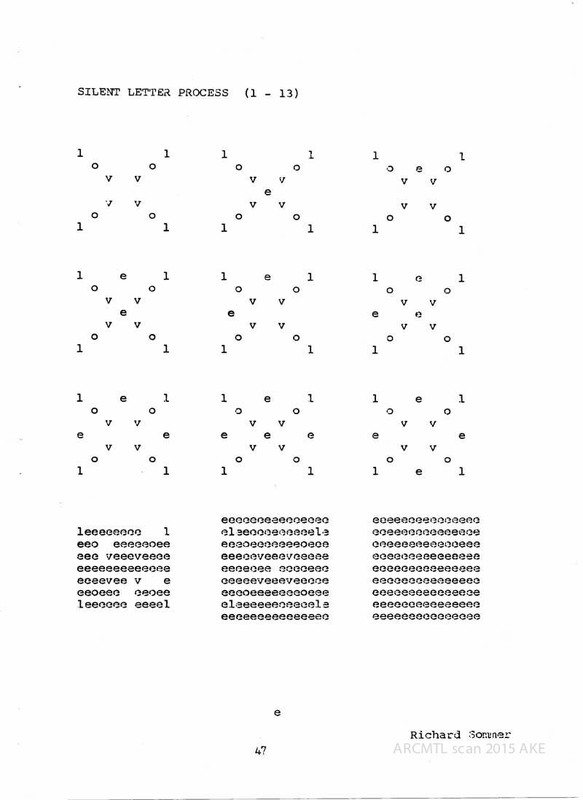 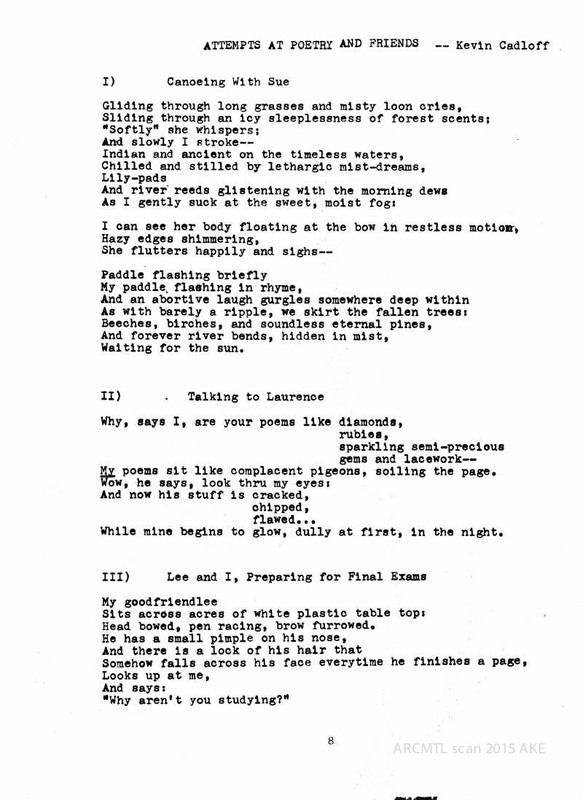 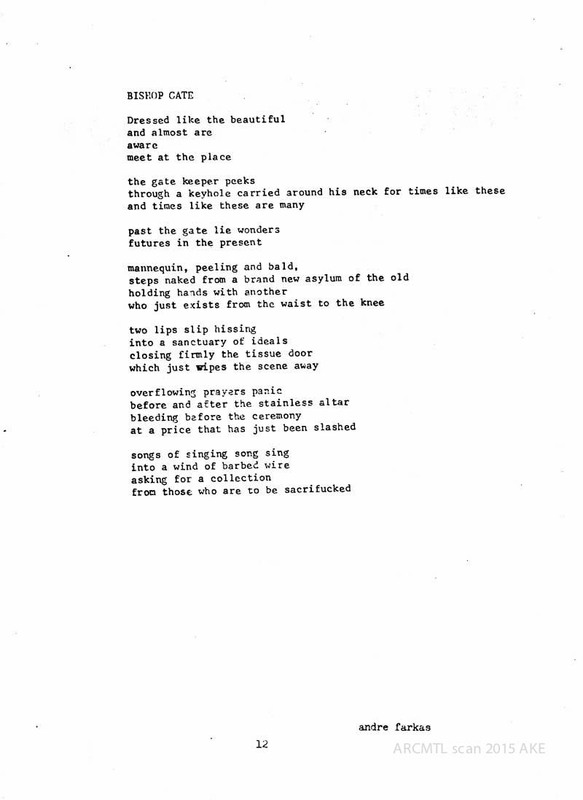 We scanned a copy of Number 2 from 1972 (thanks to Adrian King-Edwards for lending us his copy), available here in 3mb PDF format: MontrealFreePoetN2red. 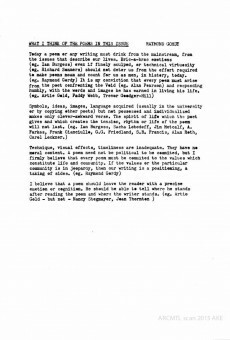 Click on an image below to view selected pages as a slideshow. 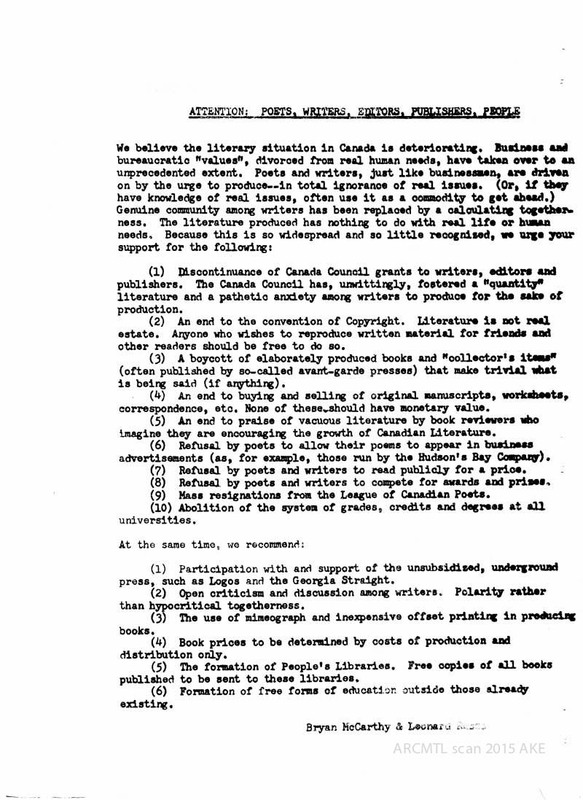 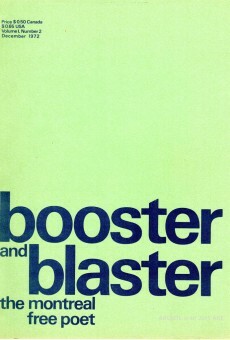 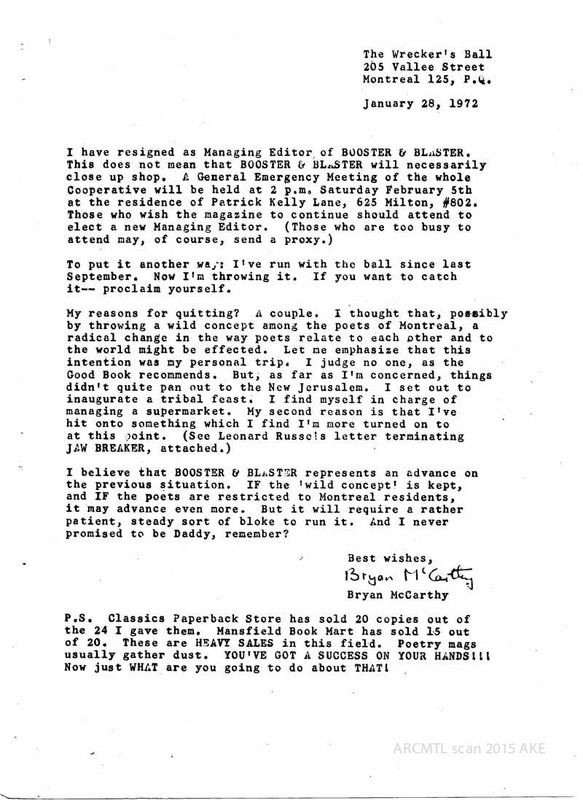 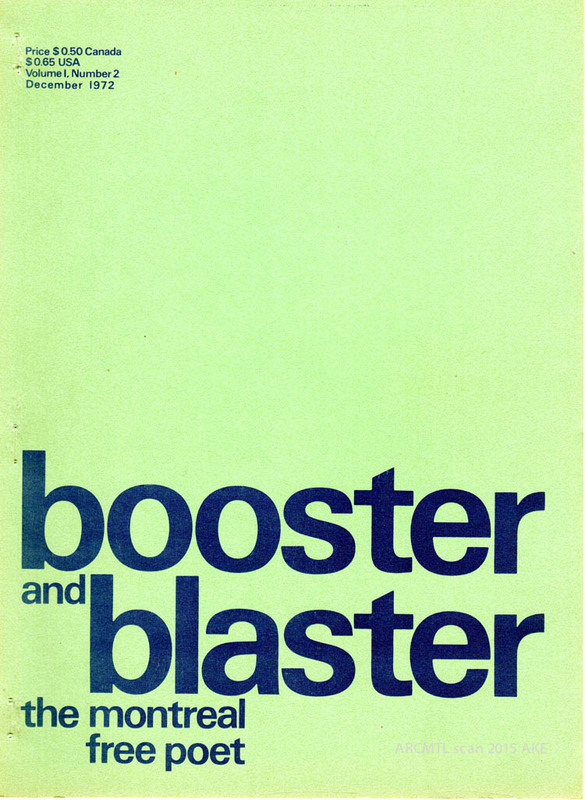 All contents remain copyrighted 1972 by the authors.